Created By You: One World One Heart 2011 Tutorial and Blog Candy from Created by You! Hand Made Card Ideas, Tutorials, Techniques and Tips for scrapbooks, card making and more to inspire your creative paper crafting soul with rubber stamps and inks by Independent Paper Artist Sharon Field. One World One Heart 2011 Tutorial and Blog Candy from Created by You! 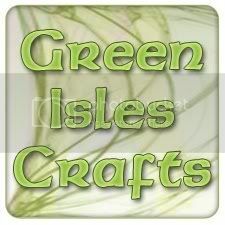 My friend Tee from Green Isles Crafts shared a wonderful site and happening with me yesterday. The fifth annual One World, One Heart event has united bloggers, Mom’s and business people world wide, something like a mega blog hop for the last 5 years! Here’s a photo of the inside of the album…featuring pockets, pull outs and photo mounts. We all share so many things… as bloggers, as Moms, and perhaps like myself, as a small business owner. Why not celebrate with like minds and souls throughout the world? If you don’t already know me, I’m a daily blogger, SAHM, and Stampin Up demonstrator. I create from my heart and acquire inspiration from a very cluttered but creative space which I call my Stamp Room. 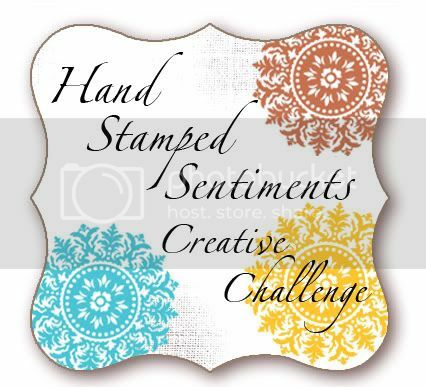 I almost joined stampin’ up over 20 years ago… I was so impressed by their products and ease of use! I waited until just 6 years ago to join after quitting my position as a software analyst to deal with personal and very pressing family issues. Since that time, I have worked very slowly to build my business through volunteering, and my online (blog) presence. Last year, a very good friend told me I should use my creative talents and abilities in a bit different way… and I began offering free weekly tutorials which I now refer to as Super Saturday Tutorials! With that said, I interrupt my regularly scheduled blog post to present an out of context but relevant tutorial in honor of the One World, One Heart Event. I hope you enjoy it! Cut two cover pieces from On Board Chipboard, measuring 5.5” square. Use Sanding Block to gently round corners of chipboard. Cut two 5 3/4” Squares of Designer Series Paper to cover chipboard. Attach the Designer Series Paper to On Board Chipboard using liquid adhesive, set aside to dry. edges along corner with bone folder as well. This will make it easier to create very neatly glued corners. Fold down edges, and glue in place with liquid adhesive. Run a strip of Snail (double sided adhesive) along the center horizontal position of the chipboard, and place Satin ribbon on top of the adhesive. In my sample, the ribbon straddled along the 2.5” mark. Cut all three Card Stock pieces (Marina Mist, Certainly Celery, and Very Vanilla) to 9.5” squares. Score each square of card stock at 4.75” both horizontally and vertically, and along ONE diagonal. Use bone folder to crease scored lines. Position card stock pieces so that they inter-lock so that two end section have the openings up, and one center section has the opening down. One square section of each piece will overlap. Glue the overlapping square sections in place. Flatten the entire conglomeration, and glue the bottom square to the back cover (the one with ribbon on it). Next, position and glue the cover in place. Wrap bow around and tie to close. (above…) The first section… in Certainly Celery Card Stock. The very last page/section of the album.. in Marina Mist Card Stock.. you can see the ribbon glued between the back cover and the last page. I hope you enjoyed today’s one world, one heart tutorial feature for a squash album. And now, guess what? I have a blog candy give-away in honor of this very special event! I’m giving away this album to one lucky person! So… how do you win this album? Simply leave a comment on today’s post. Be sure to include your contact information. To inhibit spammers, use the format suzyq(at)gmail(dot)com. I’ll have a random.org drawing on Thursday February 17th to announce the winner of the squash album, and then contact you at your given email address. THIS CONTEST IS OPEN INTERNATIONALLY TO ALL WHO COMMENT… if you would like to win this album, simply leave a comment as described above (along with your contact information). I look forward to getting to know you better, and hope you’ll enjoy future free tutorials from Created By You! This is so gorgeous!!! Thank you for sharing the tutorial... I can't wait to try this out!! Sharon, thanks for a fab tutorial. I live in the USA but wanted to comment anyway. Sharon, what a fabulous and detailed tutorial for this wonderful Squash Album. Great job! Love your tutorial! Thanks for the chance to win the scrapbook! That is a fabulous project and tutorial! Love that dsp, too! Can't wait to try one (or win blog candy!). Thank you for all your tutorials and inspirations that you share. 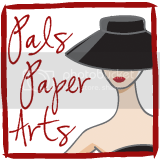 Sharon, You are such a AWESOME papercrafter!! I am all on making this album! Score on! Love your blog - SO-O-O many creative ideas!!! Now on to try the "squash" album!! I absolutely love your explosion album! Love the papers, colors, embellishments.......the works! Just beautiful. I enjoy being a subscriber to your blog and the daily great ideas. Thank you for the inspiration!! what a great tutorial. I just love it! I love visiting your blog everyday! This is a wonderful tutorial! This is an awesome squash album! Thnaks so much for the tutorial! LOVE IT! and you know I am A BIG FAN of your tutorials...Thank you for SHARING! WOW! What an awesome album! LOVE all the pockets! Thank you for sharing the tutorial. I've just recently discovered your site, and you're on my list of favorites that I visit EVERY DAY! So enjoy your projects. Thank you for sharing your talent! I LOVE, LOVE, LOVE this album idea and can't wait to try it. Your tutorials are the best. Step by step...easy peazy!. Thanks for being so generous with your creativity. OH Sharon, People are going to visit you and never want to leave. Your blog is so full of goodness and fun... it's addictive! Your album is sweet! AND a bonus tutorial this week!!! Wow great job and I love the DSP you used. Thanks for such great work! Awesome tutorial. I need to try one of these. thanks for the info. Very lovely and generous of you to share the tutorial! Cool blog. Thanks for finding me on the OWOH hop. good luck on my giveaway! Please enter me in yours and you can contact me via my blog - look for the email envelope! OMGosh....what a FANTASTIC album!! You never cease to amaze me with the creative projects you come up with!! I love all the little pockets...soooo perfect for this little album!! I check your blog EVERY day and LOVE it!!! I would absolutely LOVE to win this album!! Thank you for the chance to win such awesome blog candy! What a beautiful squash book! Loving the colors you selected. So glad to hear you are doing a tutorial every Saturday. Here's to the lucky person who may win the blog candy! YEA! What a novel gift to give someone. Love it. Thanks for the opportunity, and the sharing. What a wonderful way to honor that spirit! I've really enjoyed your blog - thanks for sharing your gift with all of us. Hello Sharon....thanks so much for stopping by for One World One Heart and for leaving your kind comments. I will put your name in the pot for the Very Cherry earring giveaway. At one time I did alot of stamping but not so much anymore. There never seems to be enough hours in my day. A pleasure to meet you and visit your blog. Best of luck on winning. This is gorgeous Sharon! thanks for the tutorial and the chance to win a Sharon Field original! I've always meant to do one of these, but never have. hi!! !i'm eleni from greece! please enter me in your wonderful givaway! thanks for sharing!!!!! Wow Sharon, what a nice blog post. I can't imagine being a stamper for 20 years. You don't even look old enough to have been doing it that long. Love your squash book and so sweet of you to do the tutorial (that is a lot of work!!). I would love to win it, just like the other 100 who already commented before me -- we all know how great your work is!! This is so incredibly adorable! I love it. Love the new spring paper, too. It's so sweet and old fashioned. Would love to win it! Thanks so much for the tutorial! You've done some lovely work here. I CAn't wait to try this tutorial. I've made the squash albums before but never with pockets. I'd love to win a sample. Thanks for sharing. Sharon, this is the best and largest Squish Book I have seen not to mention the great instructions. TFS and for being so generous about sharing the instructions! Hi Sharon, What a great giveaway. Thanks for the tutorial also. Please count me in. Pop over to my blog for your chance to win also. Thank you for sharing! I would love a chance to winner your handcrafted book. Please include me in your drawing. I love this tutorial! Thank you for the opportunity to win a prize! What a terrific prize you are giving away! Please enter me in your draw. I really enjoyed looking around your blog! Your album is gorgeous! I've wanted to learn how to make one of these for quite some time. Thank you soooo much for sharing the tutorial, and for telling us about One World One Heart. tmustain at centurytel dot net (is this how you want it done?) If not, the actual e-mail address is tmustain@centurytel.net. Again, thank you for sharing your talents! Fantastic tutorial and giveaway! It is so much fun seeing all the different types of things being given away and meet new(to me) bloggers! Please enter me in your giveaway! This is an awesome idea! I can see it as so many different things..memory book,Valentine, Christmas gift complete with gift cards, tickets to events, etc....like I said my mind is running a mile a minute! Thanks for sharing this...definately on my project list! I wanted to do one of these for a long time, and now I can with this tutorial :) TFS! Hope you have oodles of fun during OWOH. Everything you create is wonderful. Thanks for the tutorial and a chance to win the great album. Also, thanks for your generosity and participation in the event. Count me in please. What a beautiful album, wonderful blog! What a beautiful project and easy to follow tutorial. I had no idea SU was around 20 years ago, you must have been a baby then...haha! Great album! Wonderful tutorial too! This looks pretty tricky to make but I enjoyed the tutorial and would love to win the beautiful one you created. If you have time, come on by to visit my blog at number 92. That album is so intriguing. I've never seen anything like it! Sharon, your squash album is amazing! Of coure, I am not surprised as I have loved all you projects and artwork. Finally CONGRATULATIONS on being asked to be a Guest Designer They chose wisely. You are an amazing artist! Hello from next door in Nevada! I love this book and thank you so much for providing the directions to make it! Hi Sharon, great tutorial. I work in fabrics...so it is kinda greek to me; but it is gorgeous! Looks complicated...and I'd love to have it! Since you do tutorial posts...you might be interested in something I just recently found our about myself. A way to put a PDF button at the bottom of your posts...that allow the reader to print the post as a pdf document. It is at www.printfriendly.com And, no...I don't know these folks or have anything to do with them...but a friend pointed them out to me. I used them and love the results on my own blog! Just trying to help out a friend! I LOVE how you've shared the tutorial! I can't wait to explore more of your blog, so into the blog reader you go! I would love to win this, it's beautiful! Lovely album! Please stop by my blog for my giveaways of body butters I make and a wallet I made. I also want to invite you to share a linkie to one your tutorials on my Creative Monday post or my Share a Tutorial on Thursday or on both! 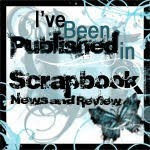 Hi Sharon thanks so much for visiting my blogs for OWOH! And that's a fantastic idea sharing the tutorial for OWOH, I've bookmarked it to try for another day! Have a great one! feel free to come over to my blog. What a great give away You have ! A beautiful prize.. I will definitely have to give this a try, Thank-you so much for the tutorial! Ciao! I am so happy to meet you today on the wings of OWOH! Thanks for a chance to win your wonderful giveaway and tutorial!! Great tutorial! Your photos are very clear and easy to follow. The album is very cool. Hello from Florence, Oregon USA. You have a wonderful blog. I have enjoyed my time here. Please count me in on your giveaway. Thanks Sharon! I love this design, how creative! I really enjoyed reading your blog. Thanks so much for offering such a wonderful piece. Your door prize is wonderful! Winning your give away would be awesome! I love explosion cards~! TOO CUTE! I have become a follower because I love to learn new things and you have so many wonderful tutorials! I especially love the ribbon rosette tutorial. Please come by and visit me when you get a chance. Thank you for sharing your tutorial! I am new to stamping and your blog inspires me and give ideas to try new things. This is so pretty and I love the colors. Thanks for the tutorial. Please put my name in your draw and come to my blog #348 and put your name in the hat there if you wish. Thanks! come to enter mine if you have time! Wonderful album, and very thoughtful to take the time to create the tutorial! Hello from India, Sharon.Thanks for a step-by-step tutorial, but am not brave enough to take up this project, yet. But maybe someday. I've taken a print out of the post. I just learnt of the wonderful initiative of OWOH, I am too late to give a give away myself but you are welcome to visit my blog.I learnt this is the last year of OWOH, I do so hope and pray someone else takes up the initiative and this beautiful concept does not die out. I would so like to be able to give away a door gift next year. What talent you have. I am impressed by your giveaway. I'm # 11, and would love to have you stop by if you haven't already. Greetings from Cornwall, thanks for putting up a great prize, please pop over to my blog for a chance to win mine! Hello from Oregon! I have enjoyed peeking around your blog. Thanks for the chance to win your giveaway. The album is beautiful but the tutorial is the true gift. Thank you so much! Thanks so much for sharing! Stampin Up products are fantastic...and your papers can't be beat!! I have always wanted to learn how to make these books. Thanks so much for offering the free tutorial! Thanks for the tutorial - what a cute and clever book! Thanks so much for the great tutorial! I loved the way u used the different colored cardstocks. You have a wonderful blog! Your cards and tutorials and tips are great! Your door prize is wonderful too! Thanks for the chance to win it! Greetings from Cody, Wyoming! Isn't this event awesome? What a beautiful little album...so pretty and unique. I used to teach at our local stamp store so I know how hard it is to put together these tutorials...thanks for sharing. I will be back to browse some more when the event is over! Please enter me in your drawing. It is a pleasure to meet you and see your beautiful blog. Thank you so much for the wonderful tutorial. The Squash Album is fabulous. Also, thank you for the chance to enter your giveaway for this beautiful album. I feel as if I've already won! Thanks for the free tutorial and I will most certainly be back to see more of what you do and offer! Very nice scrapbook album. Thanks for the tutorial. Thanks for the tutorial! I'm going to try it out. Please enter my name into your draw -- thank you so much! Hello, greetings from Malaysia. Happy OWOH to you. Hi Sharon, greetings from Australia. Great to meet you and visit your blog. I am an addicted rubber stamper myself. I would love to be the lucky winner of your lovely album. Please come by #9 and say hello. thanks so much for that tutorial and for the chance to win your lovely album giveaway. (seems like it really took a lot of time to make!) i hope you can drop by my blog at http://peggyapl.blogspot.com/ (#544) and join my OWOH giveaway. blessings! Woohoo...I am in under the wire! Love that book! j3vogt(at)aol(dot)com. OMG You do all this AND write a DAILY BLOG!!! OK talk about super organised you are impressive in more ways than just your creativity those tutorials make you a superb teacher too! I'm pleased to meet you (I'm Shelle from Sunshine Coast Australia) If you have time (I don't think I've seen you visit, but could be just dazed from dancing around the world LOL) I'd love you to come on over check out my giveaways & comment at my OWOH post too :) oh & please feel free to drop in now and then after OWOH if you're in the bloggersphere :) that'd be cool! Now let's enjoy this hurly burly wonderful One World One Heart EXTRAVAGANZA :) There's lot's more blogs, I feel like I'm in a marathon LOL!! Up, UP & AWAAAAAAY!! Hi Sharon, thanks for stopping by my blog, I'm happy to know yours now ! please count me in, your prize is great !! Thanks for visiting my blog. I took a look on yours and immediately bookmarked it. 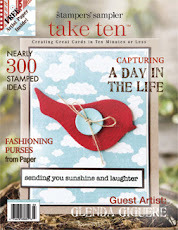 You make such lovely cards and you give workshop how to make them. Very inspiring. I am sure we will meet esachother on the internet within a few time. Hi Sharon... Thank you for visiting my OWOH post and leaving me a nice comment. I would be delighted if you would include me in the draw for your lovely Squash Album too. Great tutorials that you write. Hello from Thailand! Wow! That's a great tutorial.. thanks for sharing.. your work is very neat and beautiful! COunt me in your give away! I've enjoyed visiting your blog and would love a chance to enter your wonderful giveaway! How wonderful! I would certainly love to win it, but also wanted to share how thankful I am for the tutorial. I'm bookmarking this and heading back...I'm quite excited to make one! Thanks also for the chance to win that great album -- it's lovely, and I really like the colors. 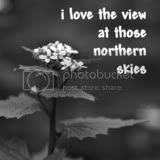 Hi from East Tennessee and thanks for visiting my blog. Thanks for sharing the tutorial. The one you made is lovely.Please enter me into your drawing. Hi Sharon, I would love to win your beautifully handcrafted "Squash Album." Count me in and pick me to win! Please visit my blog, too. I am the author of "16 x MOM: A Mastery of Motherhood." I am giving away my book and a couple of laminated 4 leaf clovers. Greetings from Philly, PA, USA! Your work is great! Count me in for a giveaway. I am a watercolor artist and photographer looking forward to meeting a new friend. If you haven’t visited me yet, please visit my new blog anytime (#864) http://barbararosenzweig.blogspot.com/. I hope to come back later to take more time checking out your blog. I have really been enjoying your blog... Glad I found it! Your album is amazing! Thanks for sharing! I absolutely love this album!!! Your blog candy is awesome! Thanks for the chance to win it!! What a great project to make. Thank you for all your inspiration. I follow your blog and look forward to seeing your beautiful creations!! Love the papers and colors of this one. This is absolutely gorgeous! And thank you so much for sharing the instructions. I can't wait to try it! I just love your tutorials; they are so easy to follow. I really like this squash book. Thanks for sharing your talent with us. The tutorial is fab, thanks for sharing it with us. And the album is gorgeous!!!!! Thank you for sharing your tutorials with all of us. I will be trying out this tutorial in the very near future. Thanks also for the opportunity to win some blog candy. Your squash book is amazing! I am so happy you used one of my favorite DSPs. Thank you for sharing your work of art! Greetings from Spain and thanks for the chance!!! WOOHOO! you know how to get a carpet ride rolling! Great, amazing blog! And what creativity you hold! Yes, please add me to your beautiful give away ! Gorgeous album, what a great idea ! Hi! I'm Sharon Field! As a creative coach, I help you discover your style of rubber stamping. Teaching is my passion! Click to join other Jacksonville, FL area stampers on Yahoo! 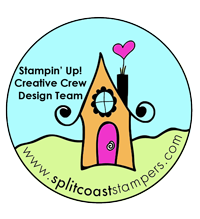 The content of this blog is my sole responsibility and the use of, and content of, the classes, services, or products offered on this blog is not endorsed by Stampin' Up! All Creations, designs, tutorials, techniques and tips Copyright Sharon Field, SU Demo. Simple theme. Powered by Blogger.